If the greatest trick of the Devil was “to convince the world he does not exist” perhaps the second was “angels are immaterial spirits”. But what of the equation “angels are spirits” in Heb. 1:13-14, is this not the locus classicus for the biblical definition of their nature? The fact that it is here an ἅπαξ λεγόμενον* ought to restrain us. The context does not give us any compelling reason for calling angels πνεύματα… The essential determination of πνεύματα is not the fact that they are πνεύματα, but the fact that they are λειτουργικὰ πνεύματα, i.e., incomprehensible beings which have a sacred office. And as the bearers of this office they are εἰς διακονίαν ἀποστελλόμενα, i.e., despatched to fulfil this office.”-Barth, K., Bromiley, G. W., & Torrance, T. F. (2004). Church dogmatics: The doctrine of creation, Part 3 (3rd ed., Vol. 3, p. 453). London; New York: T&T Clark. *hapax legomenon: occurring only once. Is this what Christians believe? There was a belief in some rabbinic schools that “every day God creates a new company of angels who utter a song before him and are gone.” “The angels are renewed every morning and after they have praised God they return to the stream of fire from whence they came.” 4 Esdras 8:21 speaks of the God “before whom the heavenly host stand in terror and at thy word change to wind and fire.” A rabbinic homily makes one of the angels say: “God changes us every hour. … Sometimes he makes us fire, at other times wind.” That is what the writer to the Hebrews means when he talks of God making his angels wind and fire.- Barclay, W. (Ed.). (1975). The Letter To The Hebrews (p. 19). Philadelphia: The Westminster John Knox Press. God makes angels what they weren’t before, winds and “flames of fire”. But they don’t appear in scripture as “flames of fire” nor does it seem possible one can be both “winds” and “flames of fire” simultaneously. 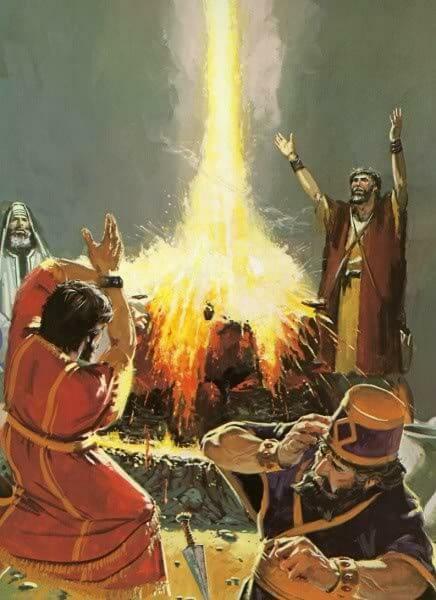 AND if God made them winds and fire, what were they before this event? Preferring the KJV/LXX reading “maketh his angels spirits” doesn’t help, we must still wonder how they are literally both at the same time. Better still, how can they be “spirits and flames of fire” while enjoying a burger with Abraham (Gen. 18:5-8)? Is it not “comparing apples and oranges” to compare infinite spirit (1 Ki. 8:27; John 4:24) with finite spirits ignoring the implicit premise that comparison is not possible: “to whom will ye liken God” (Isa. 40:18) ” and compare me, that we may be like?” (Isa. 46:5). 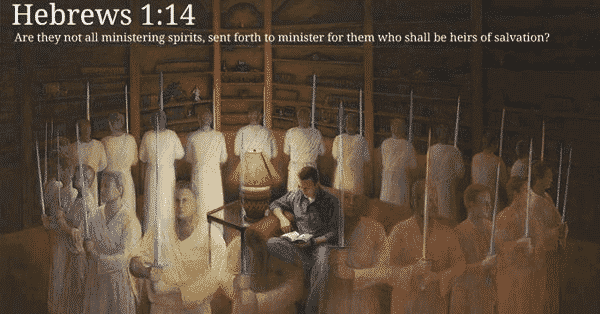 Therefore, the equation “angels are ministering spirits” is metonymy for ministering in quick and willing spirit, and not reference to their nature at all. Being servants of God its obvious they cannot be God the Son’s equal. What of the theory angels materialize physical forms to appear physical on earth? That is the grossest violation of Occam’s Razor possible, scripture never remotely teaches it. Moreover, Godlike creative ability necessary to create living bodies is a creative ability God declares He alone has (Deut. 32:39 cp. 2 Ki. 5:7). The apostasy scripture describes in the end time isn’t a localized event, restricted to one or two denominations. Its earth wide, all called God or worshiped are rebelled against (2 Thess. 2:3-4) therefore includes all the world’s religions, Hinduism, Islam, Christianity, all of them. What event could convince the world to cast off their religion? A UFO invasion, the landing of extraterrestrial preachers claiming they are mankind’s designers, that Jesus, the Father and all others called God or venerated also of an extraterrestrial race. Some friendly, some not. Most Protestants would agree with the above although the last claim is false, not one scripture implies a creative act occurs whenever angels enter our realm. Rather, Scripture implies an “opening” connects the realms (Gen. 28:12-13, 17; Mat. 3:16; Lk. 3:21; Ac. 7:56; 10:11; Jn. 1:51; Rev. 4:1; 19:11). Jesus did not materialize physical forms to prove He had risen from the dead (Lk 24:39). He did not walk through locked doors or a wall, He suddenly “stood in their midst” (Lk. 24:36; Jn. 20:26). At Jesus’ ascension a cloud received him out of their sight (Ac. 1:9). Enoch was translated (3331 μετάθεσις), a transfer not a dematerialization (Gen. 5:22; Heb. 11:5). 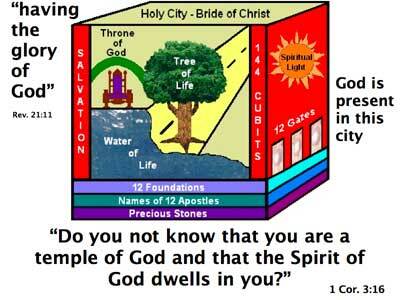 Paul did not know if he went to third heaven in the body or out (2 Cor. 12:3) which could not be the case if he couldn’t enter heaven physically. Elijah was taken up into heaven in a chariot ascending into heaven through a vortex opening described as a “whirlwind”. A study of 1 Cor. 13:10 indicates within the meta-universe two parallel universes consist. The more substantial reality is the TELEIOS “kingdom of God”, not our MEROS “that which is in part” because it lacks the dimension of the revelation of God (1 Cor. 13:10-12). In the infinite mind of Christ the Multiverse (meta-universe) consists and has its being (Col. 1:17), in Him both human and angel live and move and have their being (Ac. 17:28). When God appears to the inhabitants of heaven, He does so in the “form of God” (Phil 2:6) just as in our Verse (Ex. 33:23). It is in the Person of the Son Infinite God in two natures can be concretely with either. A theophany is something less concrete. This follows from “in Him all things consist” (Col. 1:17). The Meta-Universe is a thought in the infinite Mind of God the Eternal Son, Jesus Christ. Therefore, the mass of the Higgs Boson (125 GeV ) at best is a visible manifestation mass—as massive as a thought in infinite Mind can be. This does not deny spirits (whatever their nature) exist in heaven (1 Ki. 22:21), only the hasty generalization immaterial spirit is the only nature existing in heaven. Evil spirits and demons wandering the earth longing for the corporeality they lost in the flood (Gen. 7:21-23; Lk. 8:26-33) cannot be confused with Satan and the rest of his angels who retain their physical form (Dan. 10:13; Rev. 12:7-8; 16;13). Only God’s restraining decree (2 Thess. 2:7; Rev. 9:1, 14-16) prevents these from appearing physically now on the planet. Any time after God lifts that restraint is when they can appear, no doubt they will disguised as an extraterrestrial race, as least in the beginning.